WAKE FOREST, North Carolina (WTVD) -- Wake Forest police are searching for a suspect who robbed a Walgreens on Sunday. Officers responded to a call at 3601 Rogers Road around 7:20 a.m.
Police said the store clerk told them the suspect entered the store, pulled out a gun, and demanded money. The clerk gave the suspect an undisclosed amount of money before he ran out of the store, according to police. 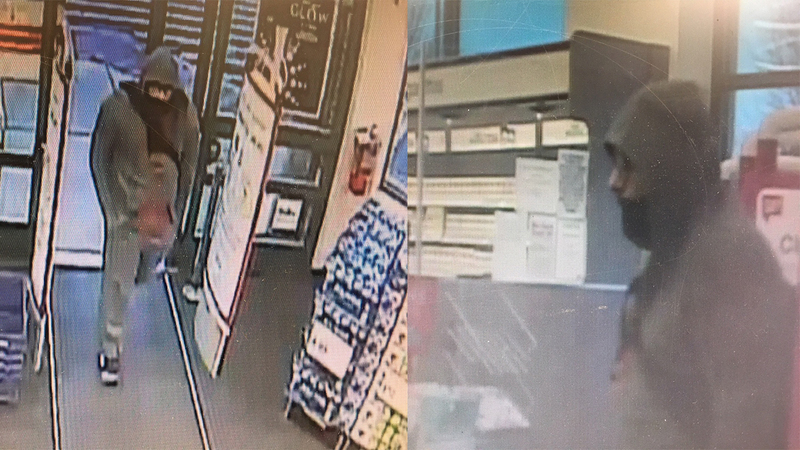 Officers described the suspect as a male with a Middle Eastern accent and a beard, standing 5'6" to 5'10", and weighing approximately 200 lbs. He was wearing an olive green hooded sweatshirt with a red design on the front and black and white accent sneakers. Anyone who believes they may have information concerning this incident is encouraged to call the Police Department at (919) 554-6150.